Elberton City Hall is located at 230 North McIntosh Street, Elberton, GA 30635; phone: 706-213-3100. Photo: Home on Heard Street, Elberton, GA. Photographed by User:Brian31 (own work), 2006, [cc-by-1.0 (creativecommons.org/publicdomain/zero/1.0/deed.en)], via Wikimedia Commons, accessed January, 2014. 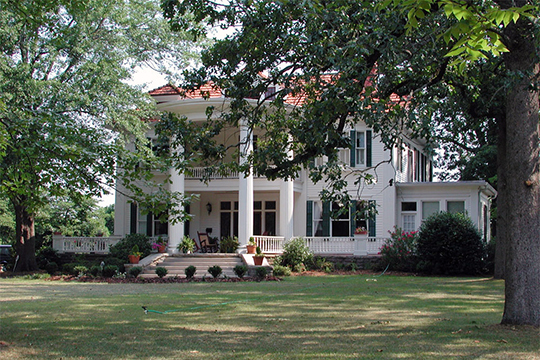 First settled around the time of the American Revolution, Elberton was incorporated in 1803 under the name of Elbertville. The first white settlers in the area, ca. 1769, were a small party of pioneers accompanying William Woodley. The town is named for Samuel Elbert [1740-1788], a Revolutionary War General, commander of the Georgia militia.